Titanfall 2 is an incremental upgrade/step forward for the Call of Duty formula. Mashing together the tried and tired Call of Duty fried pie shell with the filling of a boy and his robot story. This results in taking the best parts of Mirror’s Edge, the parkour, and putting that gameplay mechanic together with lots of shooting and emotional robot storytelling. The level design is nothing to text your best friend over. While I found the overall gameplay and design enough to keep me moving forward, I did get bored. Bored enough to try and break the game by playing on easy/regular (I’d alternate), pushing through the levels without killing anyone. Once I figured I could power through a level, especially towards the end of the game, I would just run until the next checkpoint kicked in. Why battle through tons of enemies and bullet-spongy robots when I could move the “story” forward? There are moments where Titanfall 2 shines. Moments where I loved being in a gigantic robot mowing down the masses of enemy troops. But those moments of joy were fleeting. As hard as the developers tried to shake up the Call of Duty formula, Titanfall 2 still felt like Call of Duty 1.1. I’m happy I played the game. SIDE BAR: My son kept telling me that it looked like I was playing Destiny. 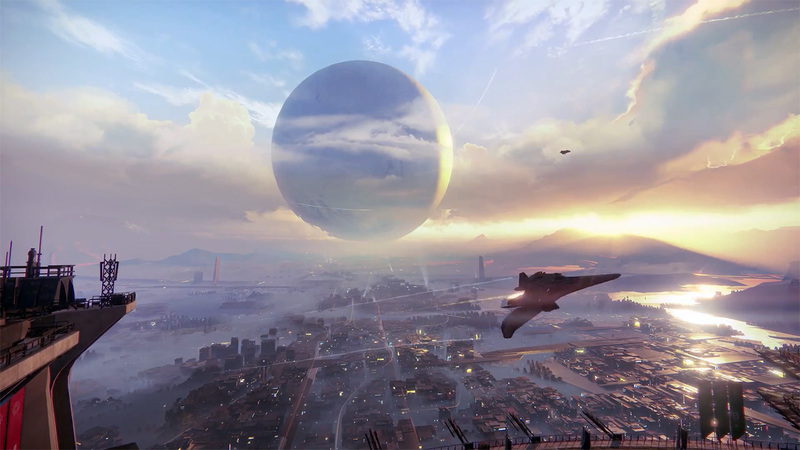 Speaking of Bungie, Destiny, with gigantic robots you can call down from the heavens, would be sweet. Get on that, Bungie. Pew, pew, pew. My robot died. I didn’t cry. Game Over. 3/5 – A fun distraction that you can now pick up for $5. Firewatch and Bloodborne tainted my view of video games. Both experiences left me feeling that all games are dark, violent, and depressing. Filled with language I don’t allow in my house; filled to the brim with blood. I needed space. So I threw gaming in the backseat. The beauty of the Wyoming wilderness contrasted against human brokenness. Dark secrets hidden in outdoor splendor. My experience with Firewatch was gut-wrenching. I felt for protagonist Henry. The reality of his personal fairy tale falling a part. I wondered at the intentions of Delilah. Her name seeming appropriate. A distraction, like the watchtower in the game itself. None of it mattered though. The profanity-laced journey was for naught. Terror and mystery ended in smoke. Mixed-in with my quest into the woods, were sporadic play sessions of Bloodborne. Hearkening back to the muscle-memory games of my youth, Bloodborne scratched a deep down itch. But the dark settings and constant violence weighed on me more than I could tell. I had told my friend Scott how I was feeling, burnt out on video games. His first response was, “It was Bloodborne, wasn’t it? Shoot.” Good friends often know you better than yourself. For about a week, video games disgusted me. I had no interest in them. This scared me. But left me with a clear head to contemplate other things. To allow God to speak truth where I needed it. I fired up Destiny over the weekend. Had a good time playing. We’ll see where that leads. Finally completed the original Destiny content tonight. Loved every moment of it. I walked away from the Traveler. The Light. The Darkness. My fellow Guardians. I dispersed into the ether, sick of banging my head against the wall. The honeymoon was over. Quest and bounty tracking now have their own screen. Light levels are front and center. Character stats are too. Trading in bounties is as simple as pressing a button. This is revolutionary! This is the game Bungie promised. I spent my weekend battling through the Crucible. Maybe 3 hours of play, max. I leveled 6 times. The best part is that I had fun doing it. As a side note: I’m going to miss the voice of Dinklebot. As my wife said, Nolan North just doesn’t sound like a robot. More time with the game may change my mind, but I miss the Elf dude. Wyatt wants me to upgrade my ship. Even after telling me that he didn’t understand why you would upgrade it when you can’t fly or shoot with it. The ship just looks cool and he understands that. What I’m wanting to know, is upgrading my ship’s skin a waste of money? Had a great time hanging out with Zach, Justin, and Jonathan. We had a chance to talk about what games we’ve been playing as well as discuss “Christian” games. Check it out if you have a moment…or two. Enjoyed spending time with Zach, Ted, Jonathan, and Roberto talking about what healthy game habits look like. You can listen to the podcast here or via iTunes. Welcome to the Monday edition of the Surf Report. A quick stop to the Bryan shop. Church is about what you do, who you are, and being the hands and feet of Christ. Too often we, as Christians, get caught up in the physical building of the church. The walls we build can blind us and hold us back from doing what we need to do. Yesterday, after a quick breakfast and message, my family and I loaded up and headed to a local grocery store. There we handed out giftcards, in the store (with permission), just to make someones day better. I’m hesitant to write about this because I don’t want it to come across as bragging. I was/am excited about getting out in the community and making a difference, even if that difference is a giftcard to help with groceries. There is something satisfying about working outside. Accidentally found myself fighting for the Traveler once again in Destiny. Completed a level I had been stuck on for awhile. Actually the reason I had quit playing the game. Destiny, even at it’s worst, is still a better game than Dragon Age Inquisition. The shooting mechanics are solid, there are no Rare-like fetch quests, and I feel like the game respects my time. The story may be a bit undercooked but the music/graphics/gameplay make up for it. I’m in love with Destiny again. Oh, I also made it to Venus. Goodbye Moon! Side Note: My experience with Paperbound will be up tomorrow. Stay tuned! That’s it for this weeks Surf Report. Make sure to comment below and have a good week!